Illusory Defenses is a common Willpower action card. It is part of the Houses of Morrowind expansion. 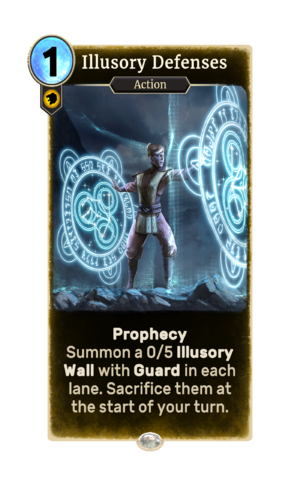 The magical walls on the art of the card read "doubt is the key to certainty bars the koor" in Daedric letters. The last word probably means "door". This page was last modified on 28 January 2019, at 14:48.